Outdoor living extends the function of our home's property by providing useful areas to hang out, grill out, and chill out, outside of the house. While some homes come with great outdoor areas already in place when you move in, often time these lawns, porches and patios don't account for the specific ways you and your family want to interact with the outside. In the six examples below, we've highlighted before and afters that show what a bit of personalization can do to improve the usefulness and quality of your home's outdoor living areas. 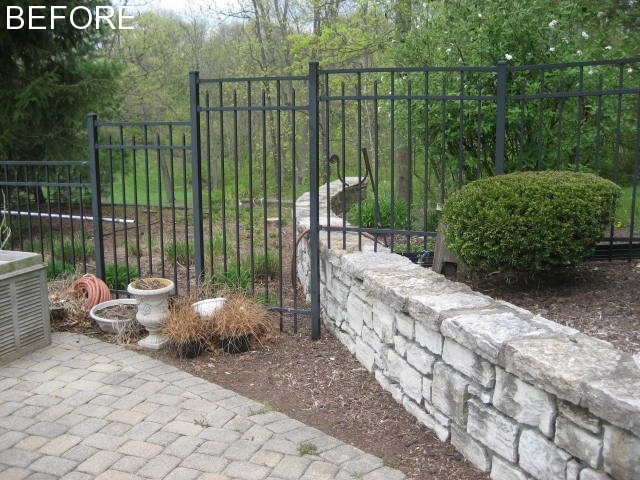 The backyard of this Mason, Ohio, home started with a large brick patio, which was useful, but beyond that, extensive landscaping occupied the remainder of the space. While the family enjoyed these gardens, they had no outdoor shade, so when the weather was particularly sunny or rainy, there was no place to go outside. To solve these issues, an angled shelter was built to replace a section of the landscaping, providing a destination on the far side of the patio. The layout of this veranda allowed many of the existing plant beds to remain, and did not affect the space and features of the existing patio. 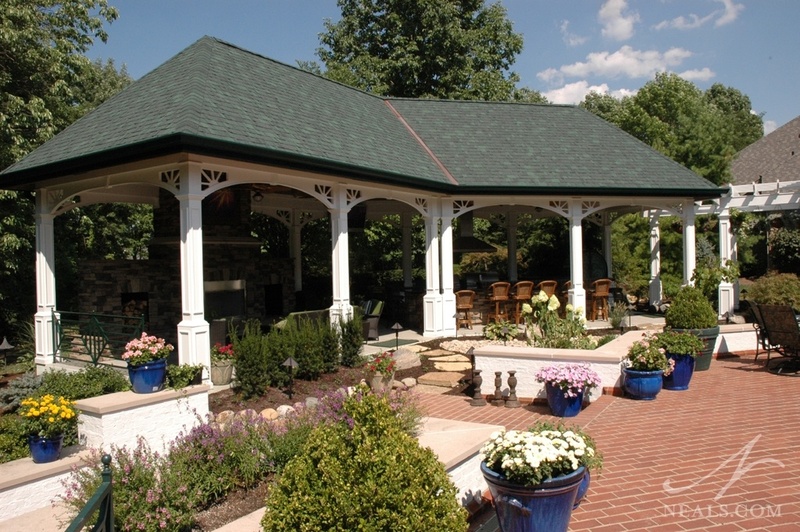 A turn-of-the-century take on the structure's architecture, along with stylish pergolas and a white paint job, blend the shelter seamlessly with the home and neighborhood. An outdoor fireplace and outdoor kitchen with bar seating make use of the space under the roof, providing plenty of entertainment opportunities. To see more from this project, click here. 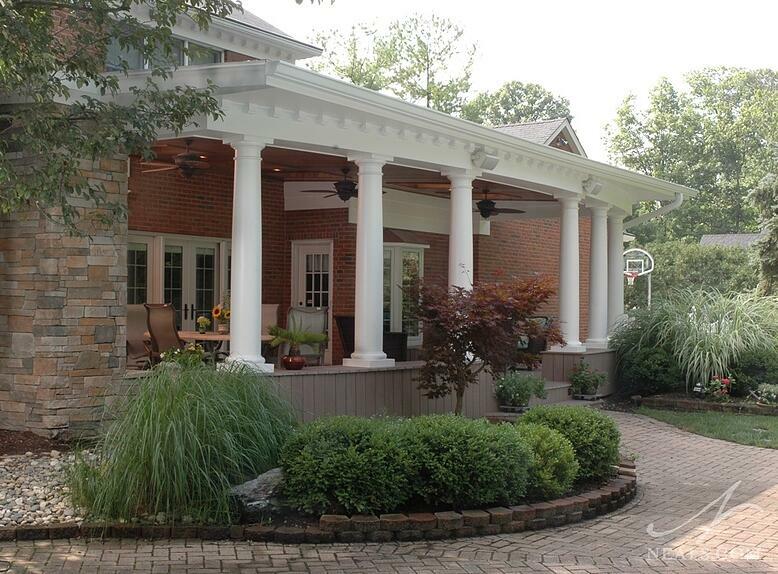 The back porch on this West Chester, Ohio, home was nothing more than a glorified deck that just happened to have a pergola. Without solid shade, or any real comforts, there was no reason or chance for the homeowners to spend any time back there. Additionally, the homeowners were looking for some way to host poker night in a more comfortable manner for their guests. 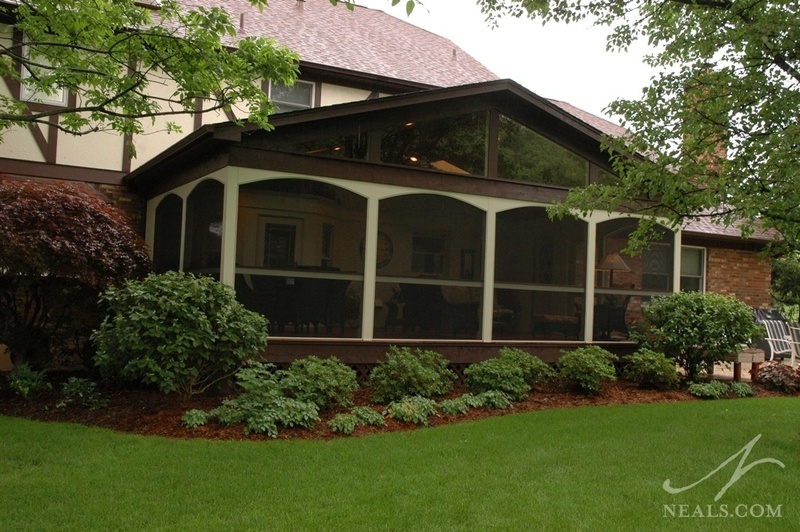 To handle these issues, the deck was replaced with a covered, screened-in porch. The new outdoor living space was outfitted with a peaked roof and ceiling fans to keep air moving on hotter days. Stylish tigerwood carpentry inside makes a sophisticated statement worthy of a poker lounge. The space between the house and the pool at this Indian Hill, Ohio, home was as boring and nondescript as they come. 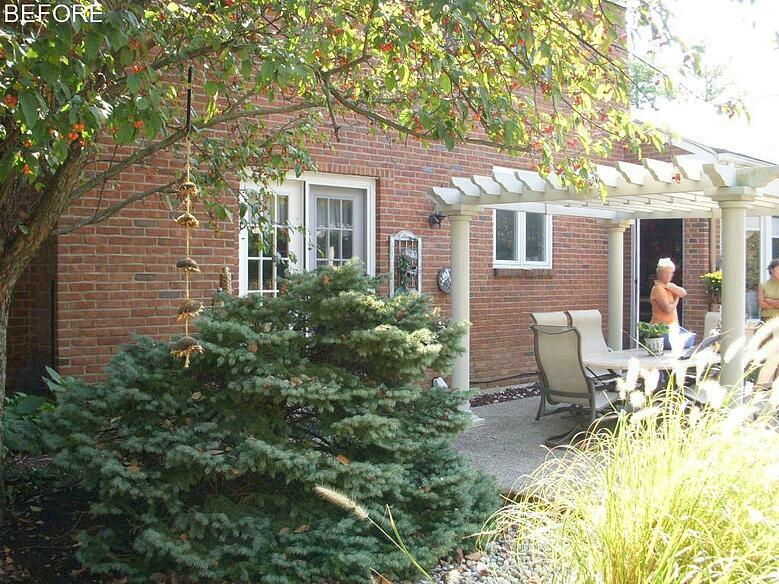 A concrete slab patio and a pergola too small to be worth the wood it was made from were the highlights. To make the best use of this space, two things were needed. First, a deck structure was required that met the level of the house at the back doors to eliminate the awkward steps down to the ground right off the thresholds. Second, that deck needed to be upgraded to a veranda-style porch that would allow the homeowners to enjoy their backyard earlier in the spring and later in the fall. The result is an amazing addition to the home's architecture. A fireplace, skylights, and plenty of space for the family's various activities all now comfortably make use of the space between the pool and house. On the backside of this Mt. Airy yard, a line of mature trees provided a backdrop to the home's view. Beyond those trees, down the hill, the pool filters and pump stayed out of sight. When heavy winds brought some of the tress down, this backdrop was left with an awkward gap. To fill it, a pavilion was designed with several specific considerations to make the most of the newly opened space. The design made use of the open space, and did not require the loss of any more of the larger trees. 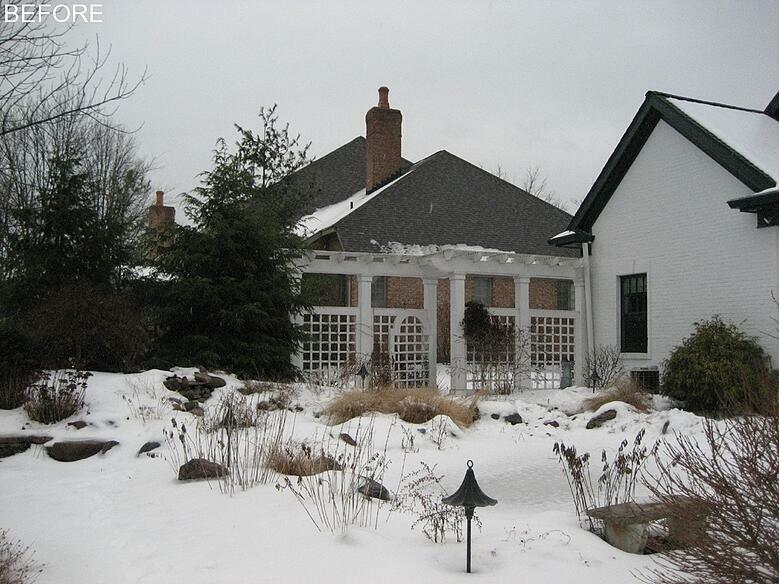 It was scaled to match not only the height of the home, but also to not look dwarfed by the tall tress surrounding it. Finally, the layout provided new access points to the lower backyard and a new outdoor kitchen. The new pavilion, which feels like a pool-side cabana with all the amenities, solved several issues for the homeowners, and made the most of the loss of those trees. 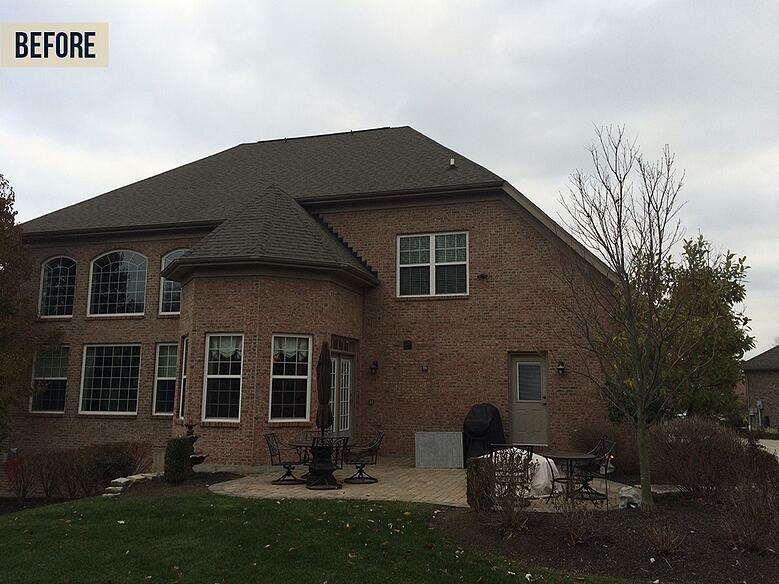 In the case of this White Oak, Ohio, outdoor living remodel, the before already felt like it was missing something. A weirdly blank wall on the back side of the house, and a patio that seems a bit too tiny for the scale of the home, just left a lot to be desired. 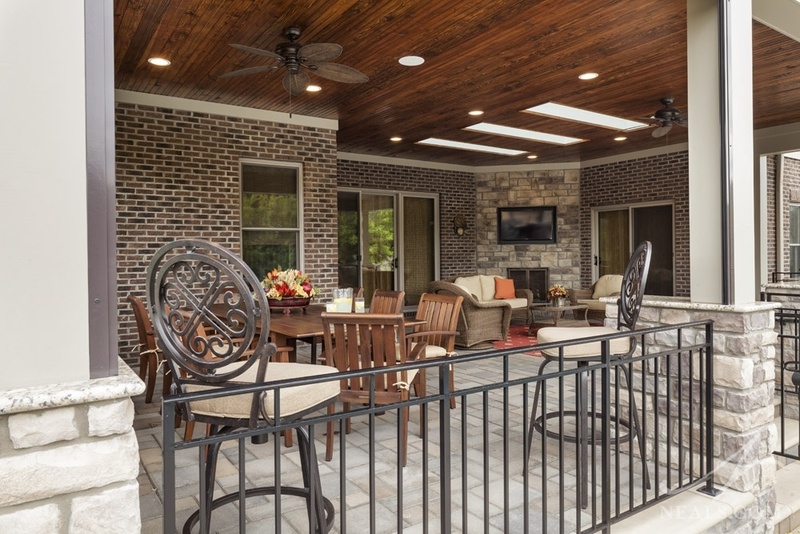 With an expansive backyard, there was no reason to keep things small here, so a large back porch was added that would provide ample space for entertaining, then the changes continued out to a new patio beyond. 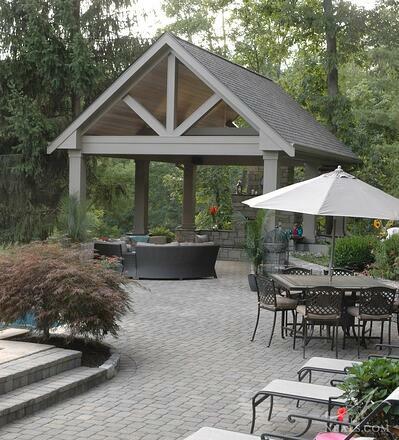 There, a fire feature and a custom-build pergola for a swinging bench make use of the available space. 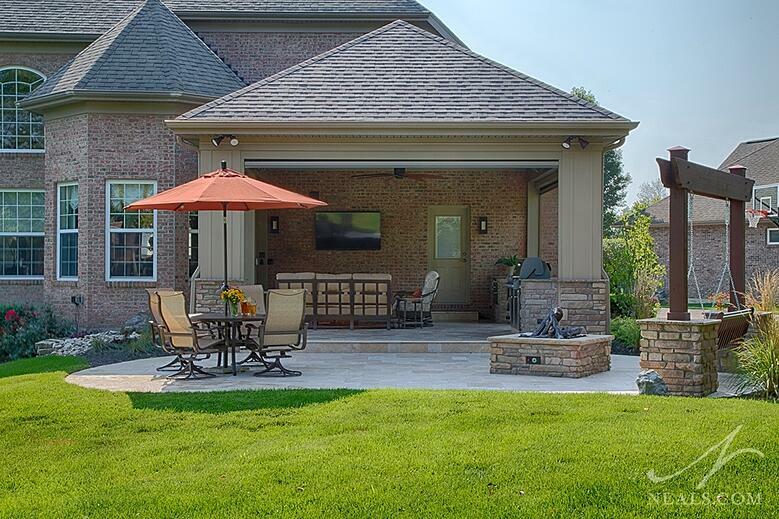 Motorized screens on the structure's sides can be dropped down to keep bugs at bay for evening movie nights. In another case of "too small to be useful", this Blue Ash back porch could not live up to the needs of the homeowners. When family came over to enjoy the pool & porch that was built with the home it was too small and uncomfortable for hanging out. It also lacked both privacy from the neighbor's back yard, and any shade from the afternoon sun. 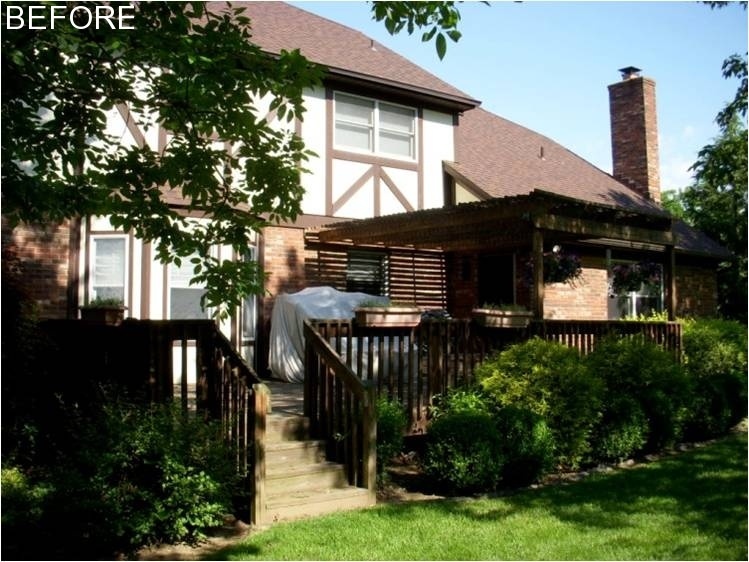 To solve these issues, the porch was expanded outward, taking up unused space nearby. This opened the space up for separate zones, and created a safe spot for a grill. Skylight wells specially designed to reflect the most light bring additional lighting to the home's windows and doors. 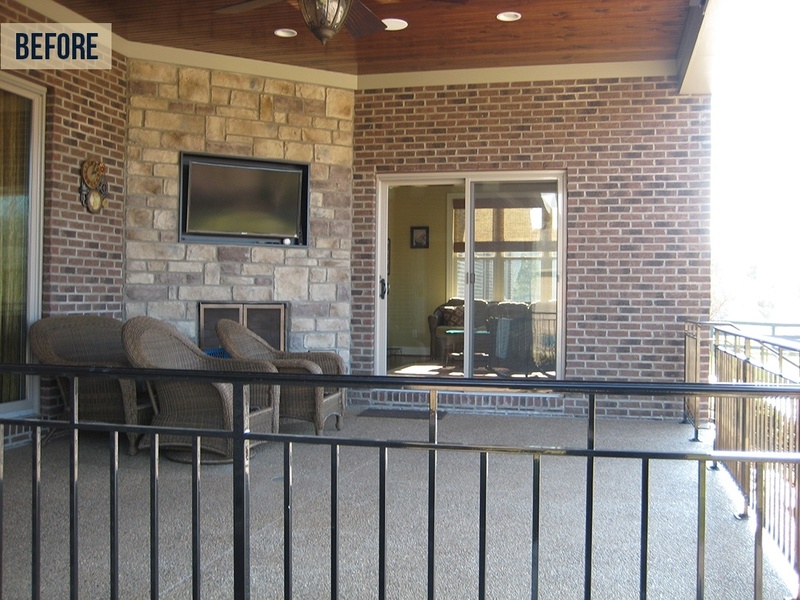 Motorized screens were installed on two sides to provide privacy and shade. To see more photos from this project, click here.